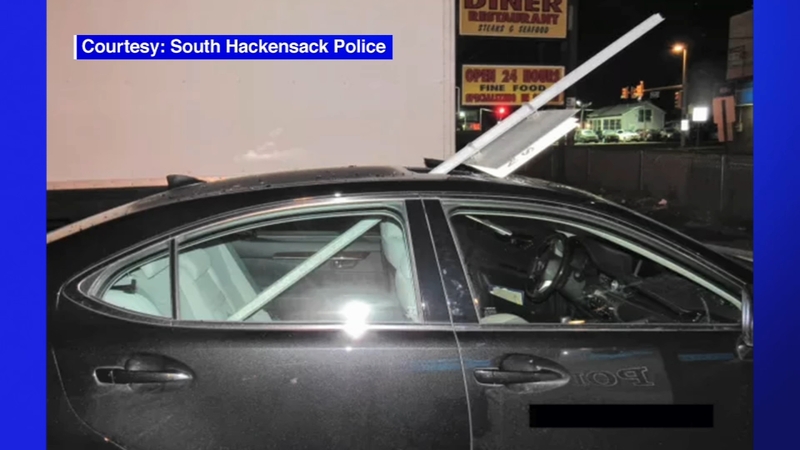 SOUTH HACKENSACK, New Jersey (WABC) -- How do you not notice a large sign sticking out of the top of the car? A 52-year-old woman was pulled over on Saturday on Route 46 with a New Jersey Transit sign going right through her vehicle, and police say she was drunk. Police arrested her and charged her with DWI and careless driving. Police say the sign got stuck in the car in Secaucus and she made it to South Hackensack before being pulled over. Police say the woman didn't even know the sign was there.